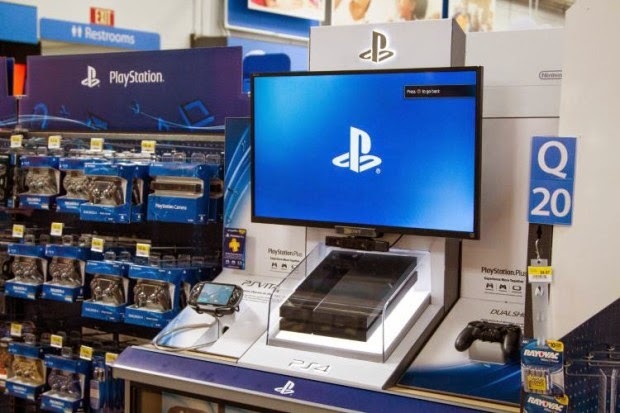 Sales of PlayStation 4 are higher than those of the competing console lounge, Xbox One, but the numbers drop. Sony has presented the results of its first fiscal quarter. The group managed to obtain profits, thanks to its division games (and online services dedicated) which generates annual turnover equivalent to $ 2.5 billion, up 95.7%, and a profit of 43 million dollars. This increase is largely obtained through sales related to the PlayStation 4, but the numbers are not positive. In fact, Sony has sold 3.5 million units of PS3 and PS4 in the quarter, 750,000 handheld consoles (PSP, Vita and Vita TV) and a total of 85 million games. These results are better than Microsoft who announced that they sold over the same period, 1.1 million Xbox 360 and Xbox One. However, sales of PS4 are already declining. Indeed, in the last quarter of 2013, which benefited holiday season-7.8 million PS3 and PS4 were delivered, and 3.7 million last quarter. Anyway, even if sales are largely higher than those of Microsoft, Sony could lose ground. It will follow the next quarterly results and upcoming announcements regarding the PS4.